Blog The Confederate Flag. Or Is it? The Confederate Flag. Or Is it? Gov. Haley has called for the removal of the “Confederate Flag” that flies on the state house grounds this week. It has caused much controversy and many are happy to see it go while others oppose it. Regardless of which side you take on this issue, there are a few things that need to be made clear. First off the “Confederate Flag” is no such thing. It’s the Battle Flag of the Army of Northern Virginia and started life as nothing more than a military battle standard. Yes, by the end of the war it was incorporated as the navy jack; as well… it was “incorporated” as an element of the Confederate National flag. But the flag in question is none of those. 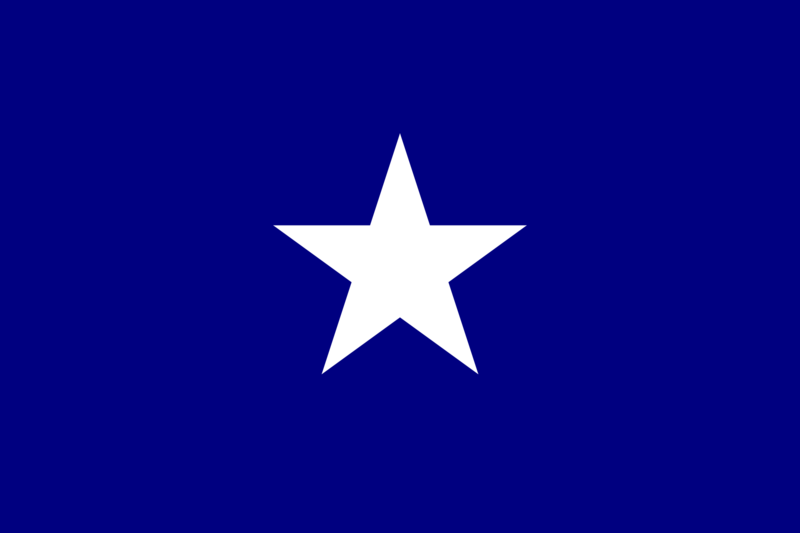 It’s a standard, military, battle flag for a particular unit of the Confederate Army. 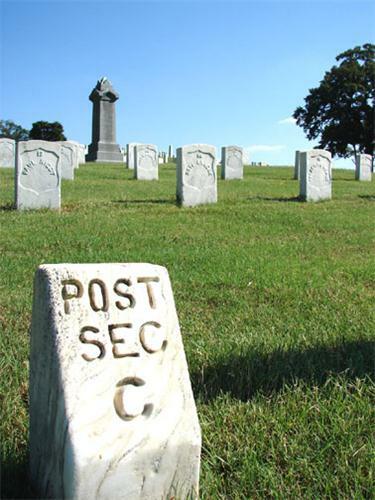 The Chattanooga National Cemetery is the final resting place for many Union and Confederate soldiers but what many don’t know is it is also the resting place for nearly 200 German POW’s that died while interned. They even have a monument. What would your reaction be if you visited that National Cemetery and saw the Nazi flag flying proudly above that monument? If you’re honest it will probably anger you. If not, it should; because the Nazi’s took a symbol of peace and in 10 short years tarnished it to the point that it will always represent evil. That is the other side of the equation. 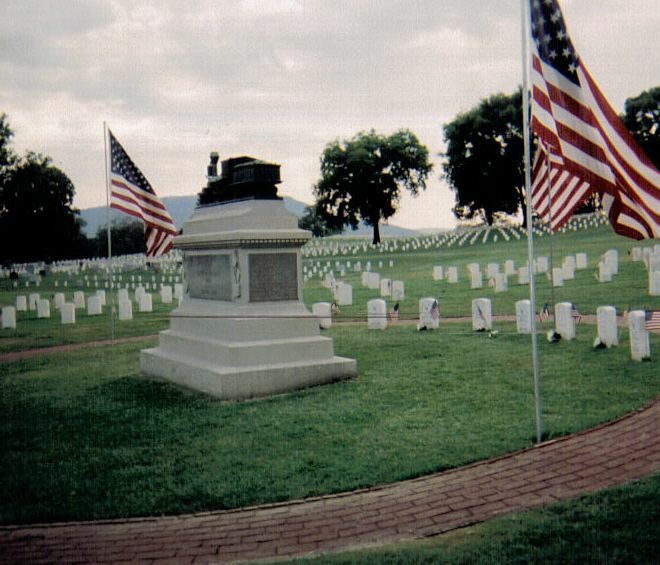 Chattanooga National Cemetery has both Confederate & Union Soldiers buried on site. Section C. German POW’s from WWI and WWII who died in US Captivity buried in Tennessee. 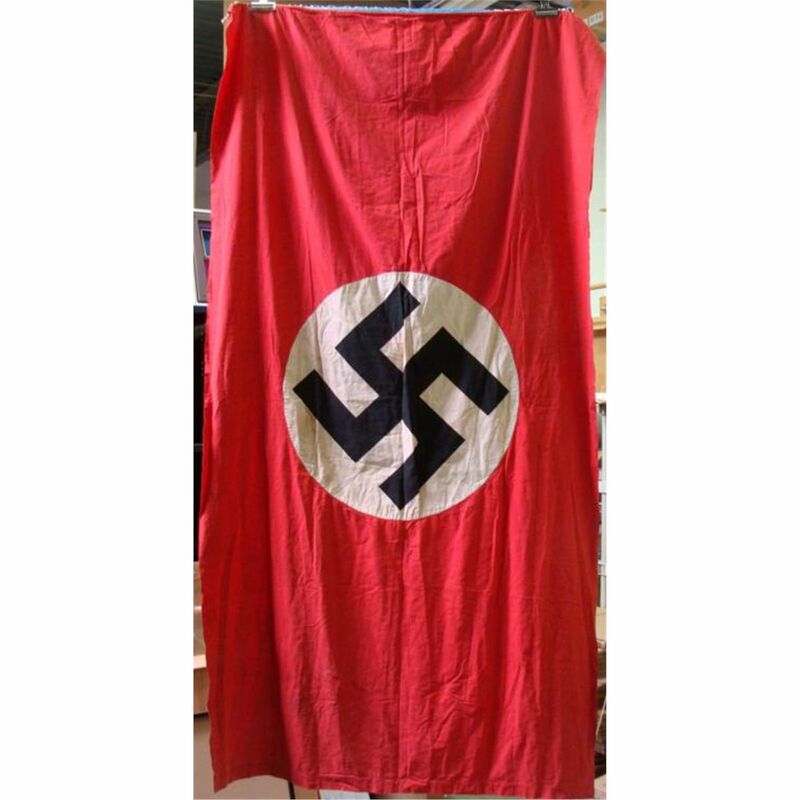 Would a Nazi Flag seem appropriate to anyone? So, my question is this: If you are not interested in offending or shocking anyone why not use the old Confederate National Flag or the Stars and Bars as it’s called by many or even the “Bonnie Blue Flag” ? 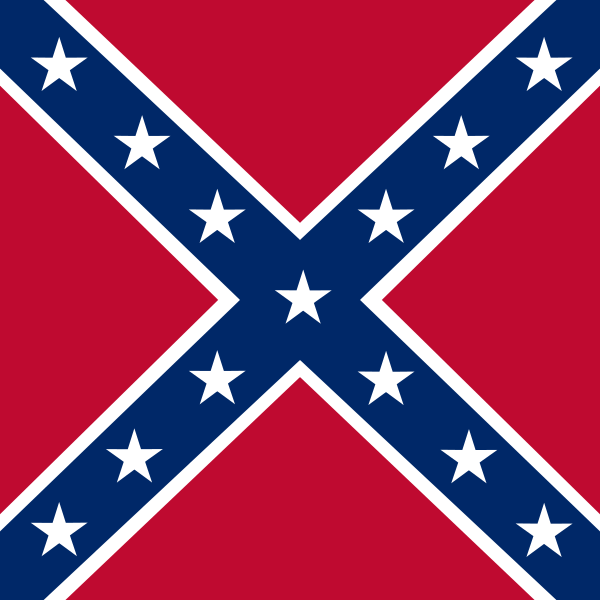 If the Battle Flag of the Army of Northern Virginia has become offensive why not use the actual flag of the Confederacy? 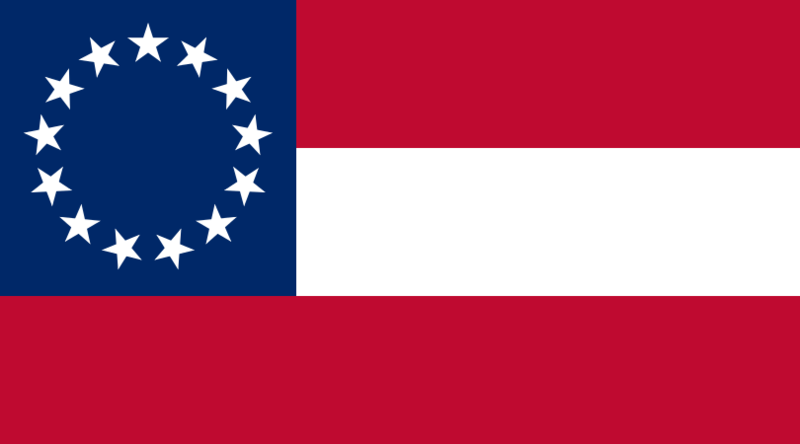 Let’s look at another confederate state Georgia for a minute. Prior to 1879 is was a blue field and had a monument in the center. Then in 1879 they changed it to basically the Stars and Bars (The actual Confederate National Flag) and used a veneration of that flag until 1957. I don’t know the politics that changed the flag in 1879 but I do know the politics of 1957…..RACISM. The battle flag was added to the flag as a direct FU to the federal government after the Brown V Board of Education Supreme Court decision. 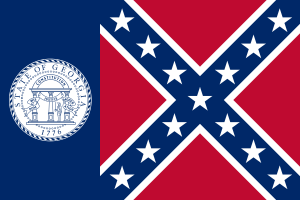 1956-2001 Georgia State Flag. Hate not heritage. 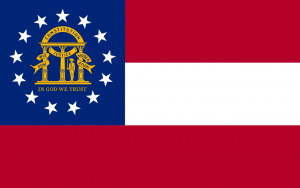 2003-Present Georgia State Flag. This is almost a direct copy of the original Confederate National Flag. Heritage not hate. So calmer heads have prevailed and a few years ago they reverted back to the Stars and Bars motif. My point is a large majority of people who get upset over the battle flag don’t even know what the real Confederate Flag is! I’m willing to bet many southerners do not as well. So, keep your heritage and fly the Nations Flag at the memorials and ditch the battle flag. It makes life a lot easier. And to show you what I mean let’s go back to my earlier example. You’re visiting the Chattanooga National Cemetery and you see a monument that is flying a Federal Republic of Germany flag. Does it peak your interest enough to find out what thats all about? Or do you not even notice it because you have no clue what the German flag looks like, or just don’t care? 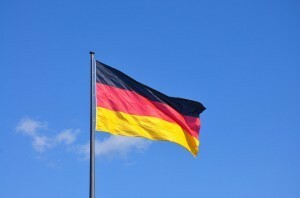 Either way, your not mad because the modern German flag has not become such a controversial image. It really does not matter who is right and who is wrong here. It’s time to quit using something the Confederate vets; who formed the KKK, decided to use as their symbol of choice in their efforts to keep an entire race of people oppressed.